Serial entrepreneur, Bill Morrow, has been creating, building and selling businesses for the last 25 years. He is founder and CEO of Angels Den, Europe and Asia’s largest equity funding facilitators, operating at the heart of entrepreneurship to bring business Angels and entrepreneurs together. Bill started his working life as an accountant with Virgin and quickly moved into investment banking in the City of London. He set up an international financial recruitment company which he sold to a Wall Street Bank in 2001. Since then he has been making his own investments. When he founded Angels Den in 2007, he changed the rules on Angel investing in the UK and was determined to create a better environment for small businesses. 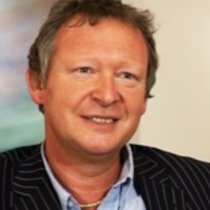 Bill is passionate that all entrepreneurs with a sound business model and the ability and credibility to run a business should be able to access the finance they need to get off the ground.Serial entrepreneur, Bill Morrow, has been creating, building and selling businesses for the last 25 years.